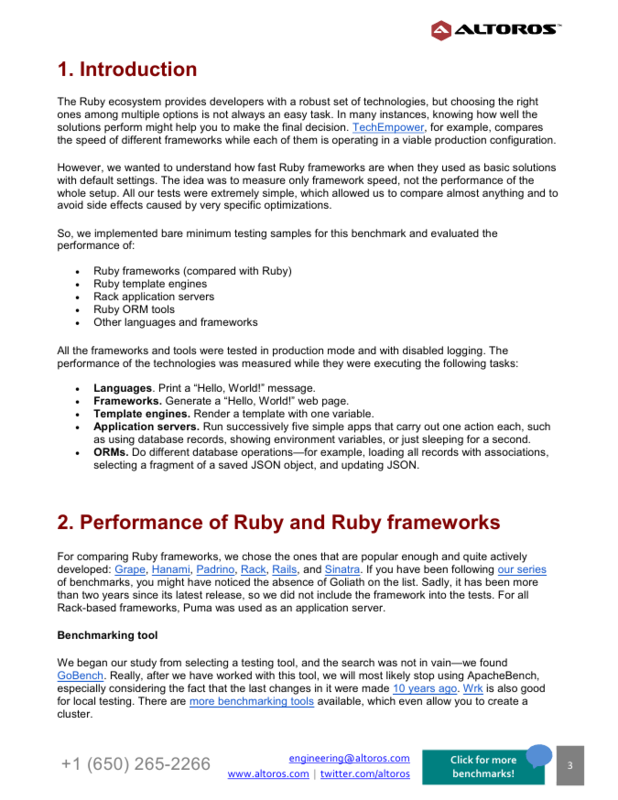 This paper evaluates the performance of 6 most popular Ruby frameworks, 6 template engines, 5 Rack application servers, and 3 ORM tools. 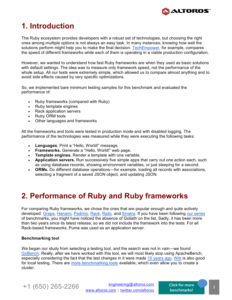 The Ruby frameworks are also compared to a number of non-Ruby technologies. 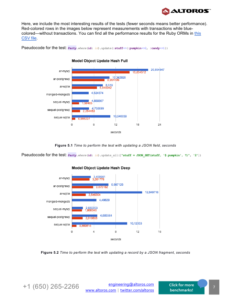 non-Ruby languages / frameworks: Crystal, Python, Elixir, Go, Java, Express, Meteor, Phoenix, Spring, etc. 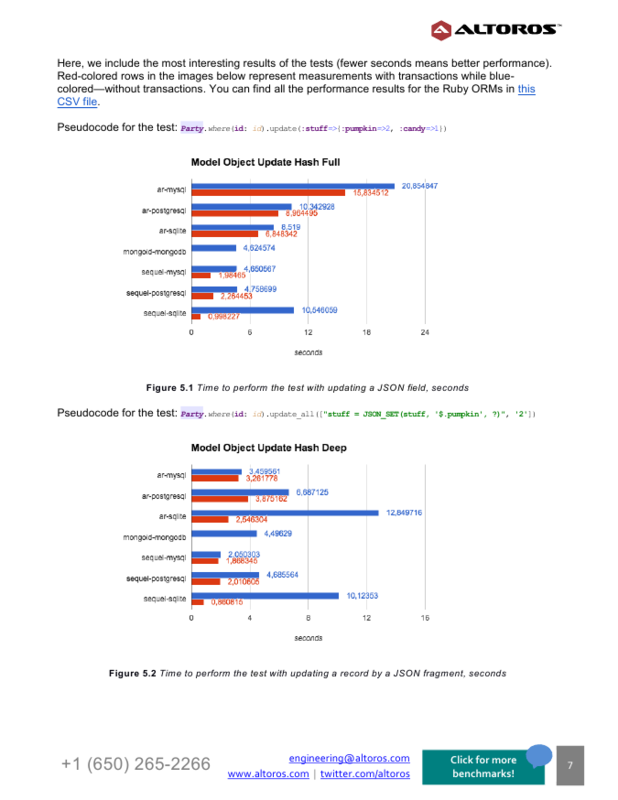 The only optimizations applied are an activated production mode and disabled logging to ensure equal conditions. Languages. Print a “Hello, World!” message. Frameworks. Generate a “Hello, World!” web page. Template engines. Render a template with one variable. Application servers. Run successively five simple apps that carry out one action each, such as using database records, showing environment variables, or just sleeping for a second. ORMs. Do different database operations—for example, loading all records with associations, selecting a fragment of a saved JSON object, and updating JSON.